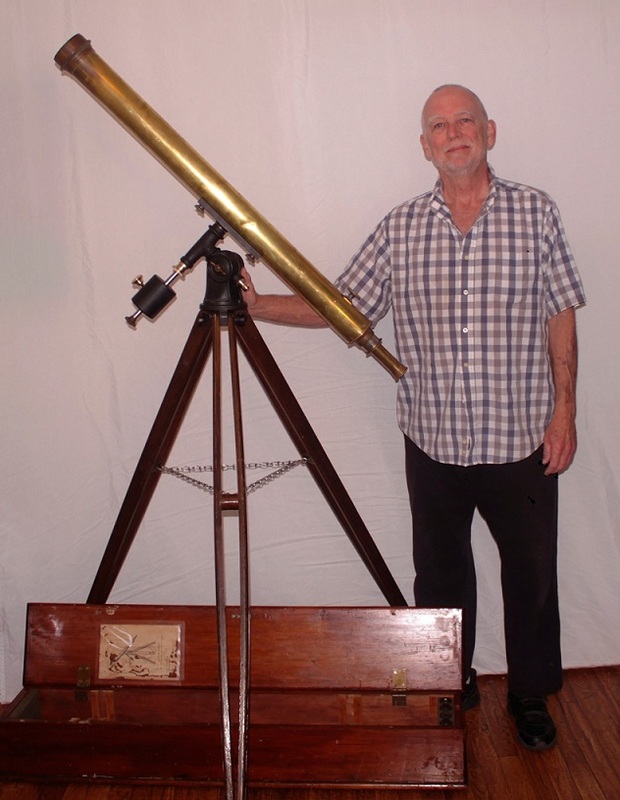 I recently won an Alvan Clark 3 inch telescope on an auction site. 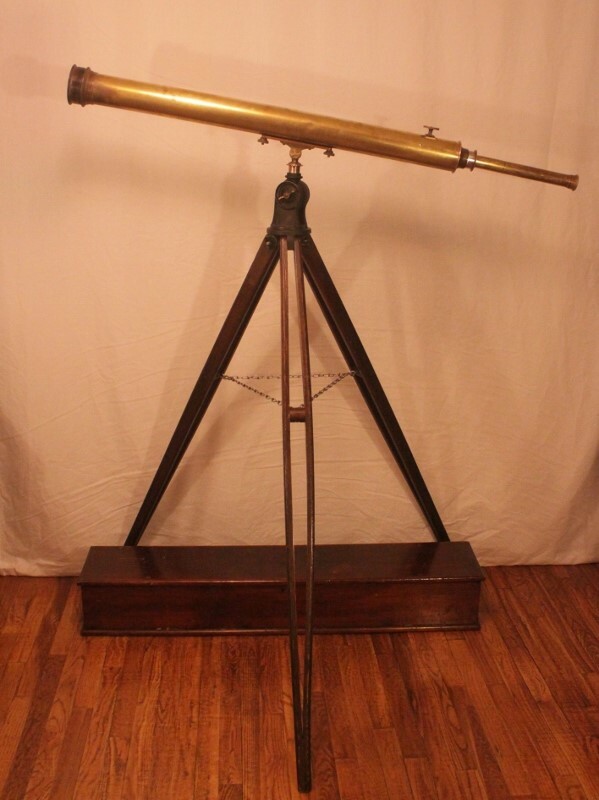 Though the telescope itself was complete and even came with its original eyepieces, the mount was missing several important parts. Here is a picture of the original as it was delivered. I was aware of this when I bought the scope and was looking forward to the challenge of replicating the missing pieces. Luckily for me a generous Clark collector, Dan Schechter, was willing to loan me the missing parts from an original Clark to make the task easier. Many thanks to Dan for his help! During this process I discovered that the Clark Corporation made telescopes one at a time or in small batches and they were machined by hand. Many of the parts from Dan’s original Clark would not quite fit with my original components. Many were off by several thousandths of an inch. In some cases the fit was very loose. In others the parts were just too tight and would not fit at all. 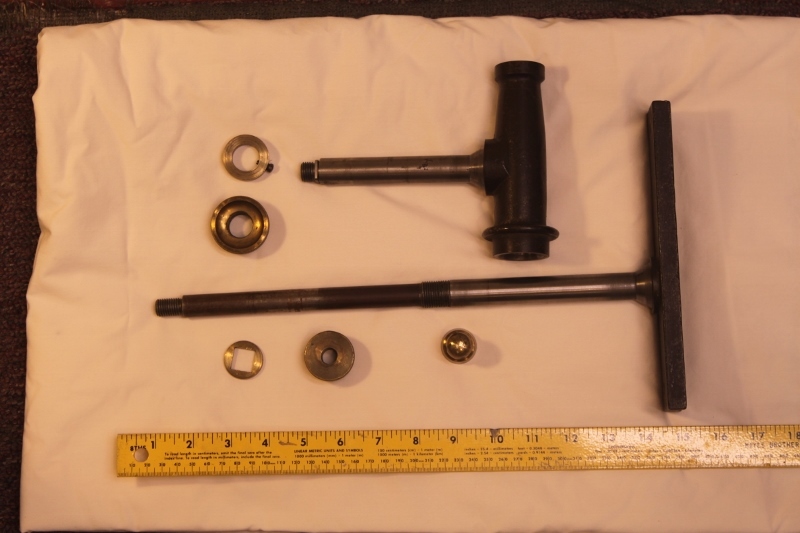 In several cases a modern nut or bolt would not fit with the original Alvan Clark parts. This is not surprising since threads have become more standardized over the last hundred years. No matter to me, though. I custom made my replica parts to fit my original components and used standard, modern taps and dies to make them fit each other perfectly. Many of the thread pitches use by the Clark Corporation were arcane and have not been used much for many years so I had to buy several new taps and dies. I wonder when I will ever use those again?! Fabricating the missing pieces was a lot of fun. I modeled the basic dimensions after Dan’s parts but was not slavish about it. Here are some photos showing the construction of the Declination Housing. As you can see, I used steel pipe and built up an aluminum shell with JB Weld to mimic the appearance of the Clark casting. Great fun! Machining the Saddle was pretty easy. I figured that Aluminum would be beefy enough for the job. I had to buy some new knurling wheels to match the knurls on the Clark brass knobs. I made a couple of forming tools by carefully grinding HSS tools to match the curves of the knobs as well. This worked well as look as I took very, very light cuts. I found that “digging in” was all too easy with these things! Of course, I would have had great difficulty in duplicating the patina of the original brass parts so I made no attempt to do that. I left them with a satin finish rather than taking them to a full polish hoping they would not stand out quite as much. But, it is still obvious which ones are fresh off my lathe. 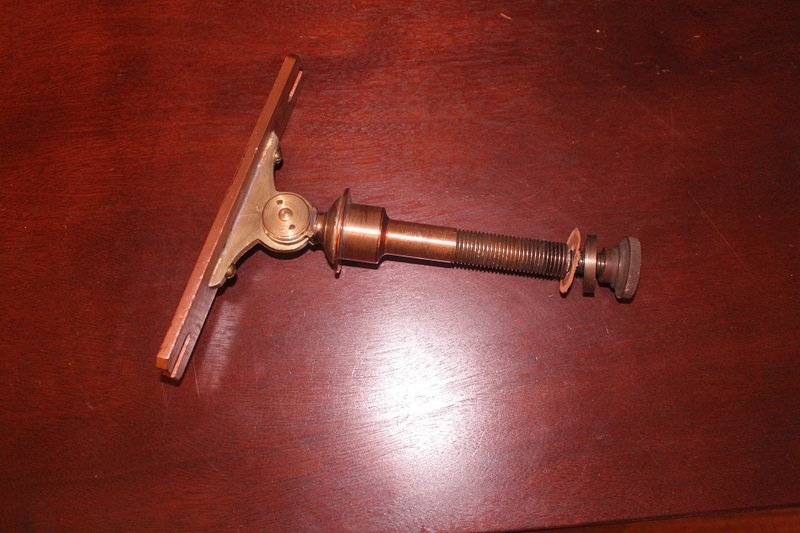 Carl Lundine, of the Clark Corporation, designed this mount in the late 1800′s and he did a wonderful job. The mount is beautiful and highly functional. But, the Clark Corporation used late 19th century technology. I decided to use modern bronze bearings in this reconstruction. Maybe bronze bearing material was not available to the Clark Corporation builders or it was considered to be an unnecessary expense. But I purchased superb self-lubricating bearings for a few dollars at the local hardware store and they fit my brand new .750″ steel stock perfectly. I think I had it a lot easier than the Clark Corporation workers. I guess those folks had difficulty getting good precise stock so they had to smooth the steel rods down a few thousandths in order to achieve the needed precision. That’s why nominal .750″ steel rod has been turned down to .740″. But all that is just speculation on my part. So the parts I made for this mount are not faithful “replicas”, except in their superficial appearance. Perhaps this mount should be called a “simulacrum” now. The use of modern parts does result in a few design changes. In a mount like this controlling friction is important. It is desirable that the friction occur in such a way that the tightening mechanism does not become either tighter or looser when the scope is reoriented. Lundine went to some lengths to achieve that result in the design of this mount. My simulacrum works just as well, but uses modern technology to achieve the result.